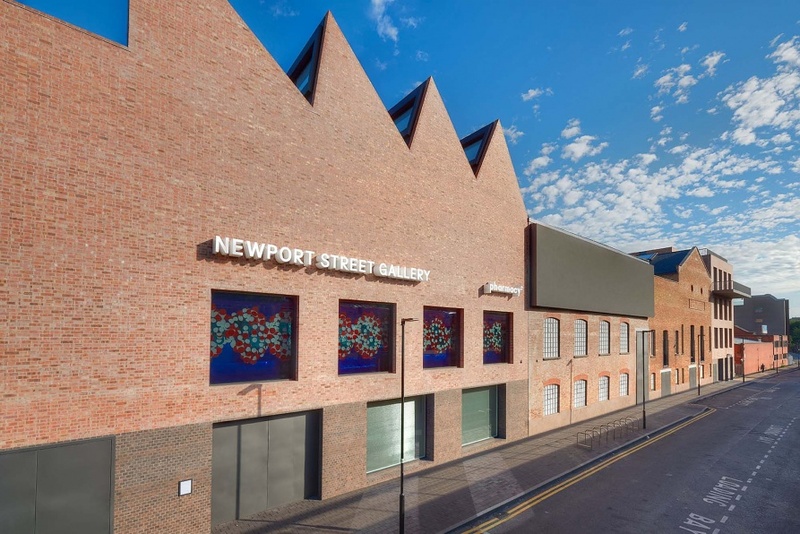 Newport Street Gallery is the realisation of Hirst’s long-term ambition to share his art collection with the public. Designed by architects Caruso St John, the gallery spans 37,000 square feet and includes six exhibition spaces – one with a ceiling height of 11 metres – split over two levels. The Murderme collection, which Hirst has been acquiring since the late 1980s, contains over 3,000 works. Featured artists include Francis Bacon, Banksy, Tracey Emin, Richard Hamilton, Jeff Koons, Sarah Lucas, Pablo Picasso, Richard Prince, Haim Steinbach and Gavin Turk, as well as a number of young and emerging artists and a significant collection of indigenous artists from the Pacific Northwest Coast. Also featured are natural history specimens, taxidermy, anatomical models and historical artefacts. The collection has previously been the subject of large-scale exhibitions at the Serpentine Gallery, London (2006) and the Pinacoteca Agnelli, Turin (2013). The construction of Newport Street Gallery involved the conversion of three listed buildings, which were purpose-built in 1913 to serve as scenery painting studios for the booming Victorian theatre industry in London’s West End. With the addition of two new buildings, the gallery now spans half the length of the street.